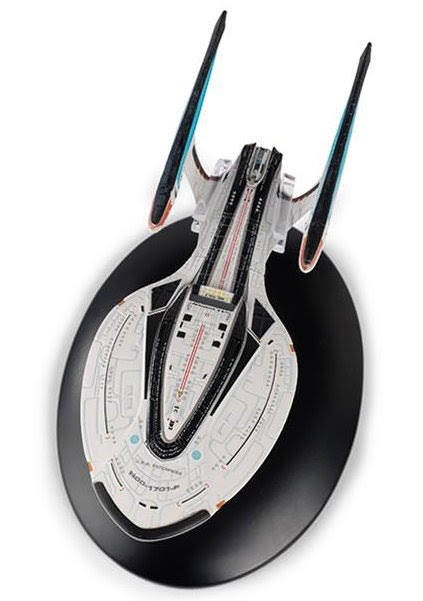 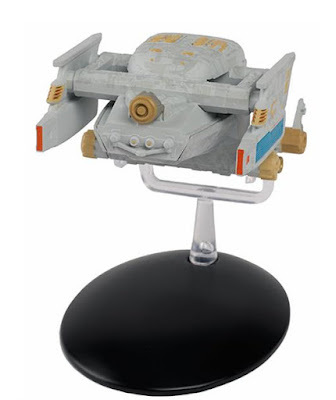 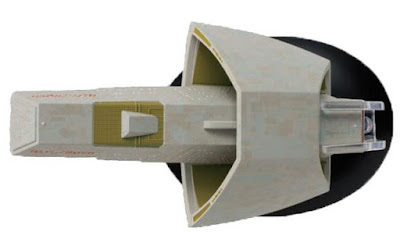 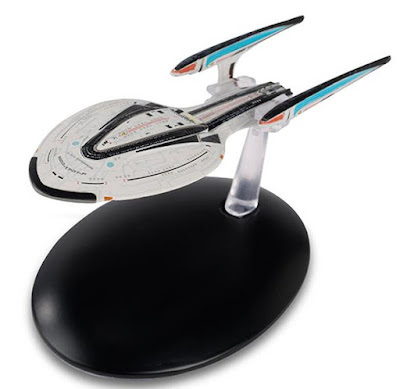 Freshly added to the Eaglemoss UK webshop is a second version of the USS Enterprise-F bonus issue! 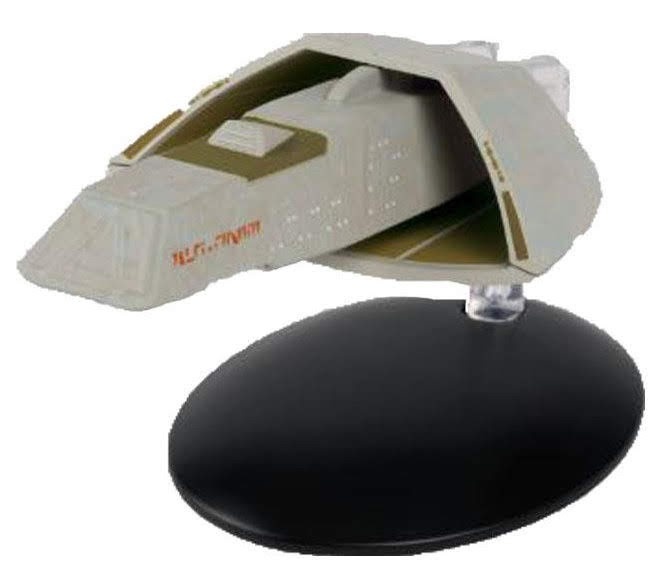 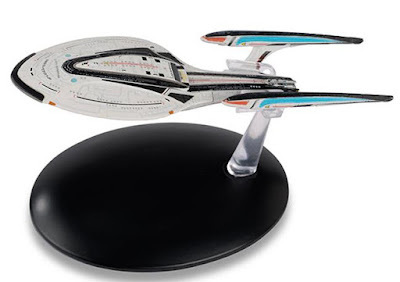 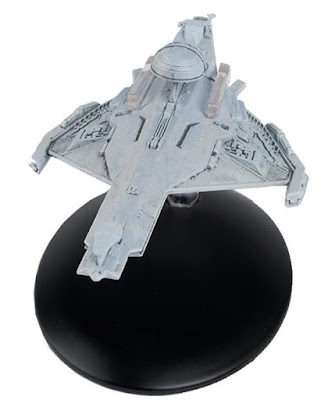 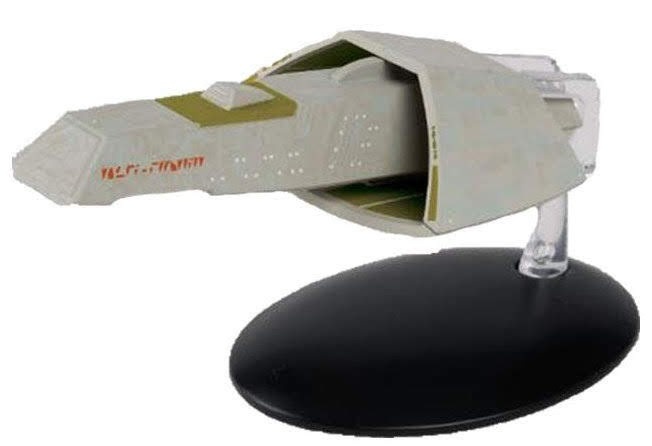 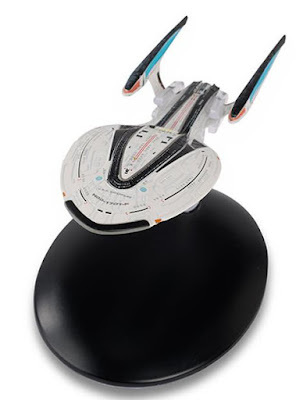 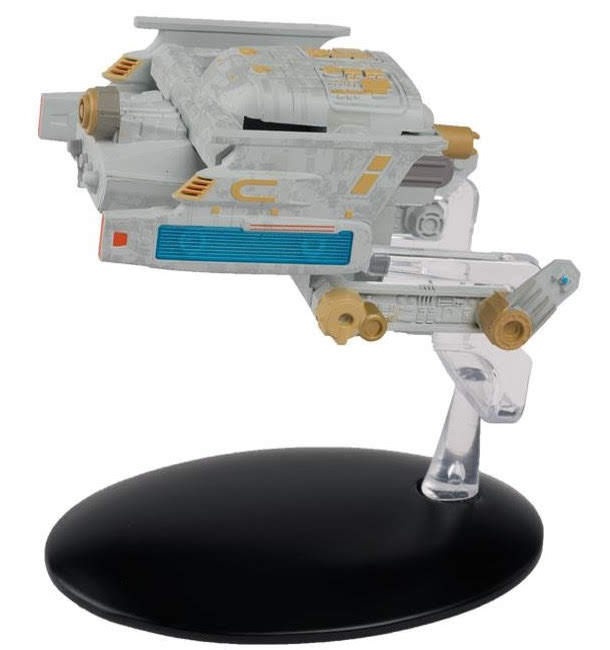 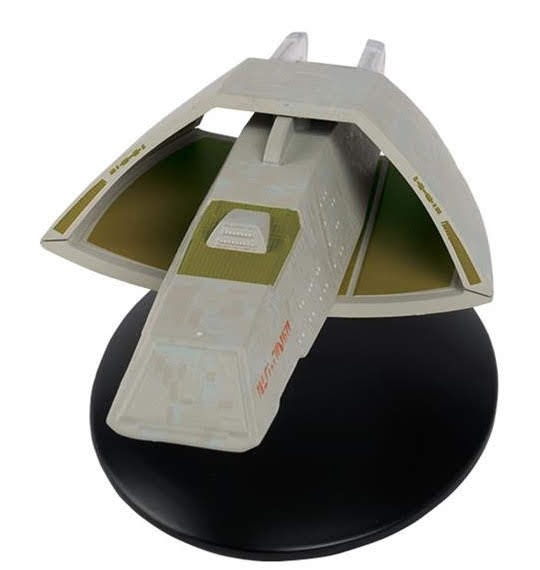 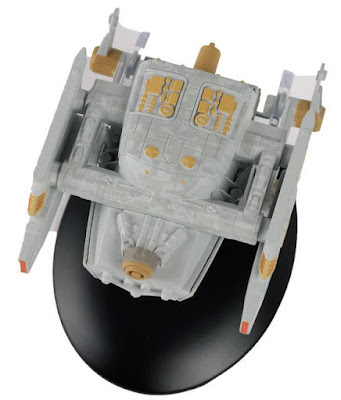 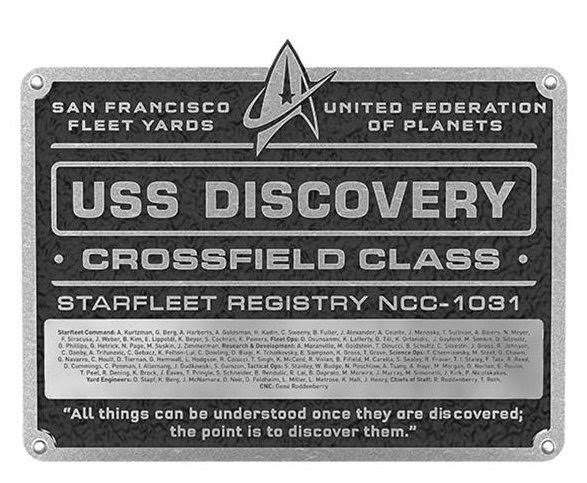 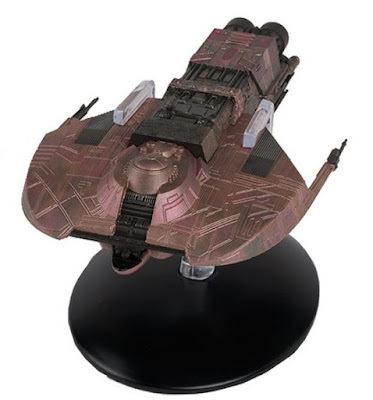 The previously seen very monotone grey version has just recently moved to pre-order status on the webshop is being supplemented with this more Star Trek Online accurate edition of the ship; with a brighter base colour and dark highlights giving it a lot more pop. Eaglemoss have dubbed these the Federation livery and Star Trek Online livery. 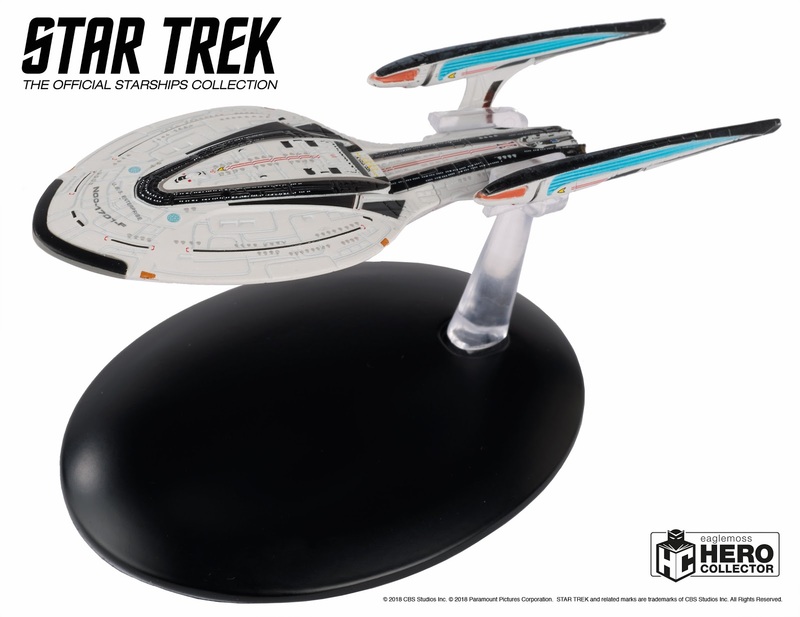 The STO version isn't available to order yet, but is expected to arrive by the end of the month, so both editions should be coming about the same time. I would like to call the E-F with the STO livery the Jaylahprise!